"At a regional scale we found a loss of resilience in ecologically important branching Acropora corals – formerly dominant key framework builders – with recovery severely lagging behind predictions." 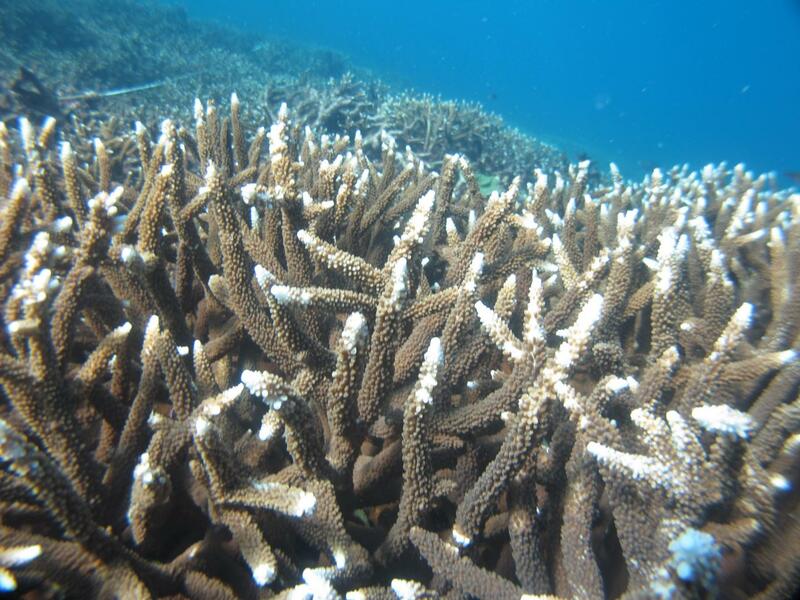 "Surveys conducted in 2014 revealed low Acropora cover – less than five per cent – across all sites, with very little evidence of recovery for up to 60 years at some sites, thus there was little left in this region for the 2016 bleaching event to kill." she said. Together with previous research, the indication was the recent condition of the inshore Great Barrier Reef was a "shifted baseline" – already degraded before long-term monitoring took place. Taking together all such previous undocumented loss, the true picture is probably far worse than that depicted in previous reports of the 2016 mortality event.